The topics posted here are far from the recommended ‘single subject focused’ blogs written to purposely attract readers, yet despite this lack of professional focus, the site still gets read. My Desultory Blog manages to generate close to 10,000 unique IP accesses each month and 10 GB of data transferred. One of the most surprising things about posting daily to a 5 year old desultory subjected blog is that over time some posts stand out and get found again and again. 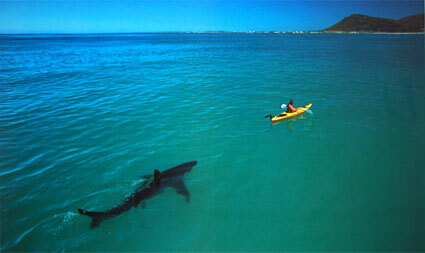 During the past couple years, the number one post was about a Kayak and Great White Shark in Africa — it was posted on March 24, 2008. Most likely the photo that originally attracted me, also attracted those viewing search engine images? To this day it continues to receive over 500 views per month and is the most popular post. It is followed by the Wikipedia linked archive download of VW PumpDuse PDF which isn’t linked directly through a blog post. Third, happens to be a video embed of a modified Brian Regan’s Ironing board reenactment from 2008 (it just a YouTube repost and not an original). Interestingly, my first post on a 2006 Volkswagen TDI from 5 years ago still receives about 50 views per month. Finally their is one particular post about accelerated medical school programs (about 150 views per month) which stimulates an email question ever couple of months; it give me personal satisfaction knowing that my comments are helpful to students (and their parents) as they contemplate pre-med programs.